Safe drinking water is essential to humans and other lifeforms even though it provides no calories or organic nutrients. Water is the “original beverage” – it was the only option up until the time that tea was first consumed as a beverage some 3,000 years ago. Water’s natural, it’s readily available and, unlike many other beverages, water is calorie-free. Around 60-70% of the human body is composed of water, so it’s fair to say that water is vital for survival. It functions to keep our body temperature regulated, allows us to breathe, is essential in digestion and excretion, assists body movement, just to name a few! 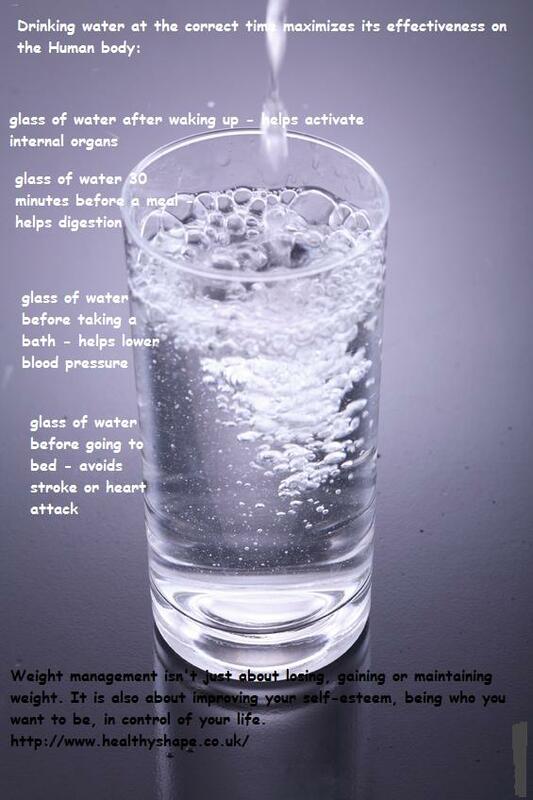 Drinking 8-10 glasses of water each day is recommended. So water should be your first choice, but plain coffee or tea is fine, too – and sports drinks, broth and vegetable juices are also relatively low in calories. But just because caffeine doesn’t ‘take away’ from your fluid intake, don’t rely on calorie-laden coffee drinks to meet your needs. If you do, you could really pile on the pounds – and meeting your fluid consumption needs will be the least of your problems, need to drink 8 glasses of plain water too. Actually, all beverages can contribute to your fluid requirement – like coffee, tea, fruit juice, broth, vegetable juice, sports drinks and low fat milk – since they’re primarily water. Studies have shown as little as one percent dehydration can cause major changes in body temperature, while two percent dehydration will drop your performance levels significantly! So to operate efficiently it’s crucial to keep your fluid levels up. If you don’t like the taste of plain water, add a slice of lemon, orange or a sprig of mint to give your water some flavour without adding the calories you’d get by using cordial. Hydration tips for exercise Make sure you’re well hydrated before you exercise — start drinking approximately two hours before, Keep your fluids topped up during exercise, Always remember to re-hydrate after exercise – it’s essential for recovery. This entry was posted in Healthy Living and tagged Calorie, drink, simply, water, weight management by Susanna. Bookmark the permalink. Great tips! Thanks for an important reminder. While I am not a big advocate of sports drinks (they tend to be just empty sugar-laden calories) staying hydrated is one of those things that we take for granted. As an amateur athlete I can see an immediate performance drop if I haven’t had enough fluids on a given day.